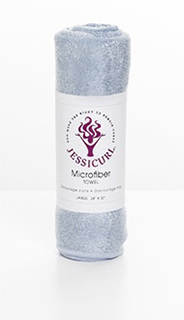 The super-absorbent fabric of this towel helps your hair dry faster without causing frizz like terrycloth can. 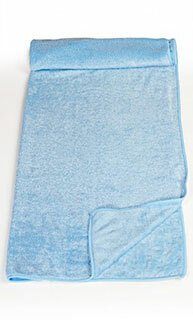 These towels measure 24" x 32" and are made of 80% Polyester and 20% Polyamide. If you have no idea what the heck "plunking" is, check out our plunking video to learn all about this great technique for forming bouncy, springy curls.